You are here: Home » Why Home Health Care? 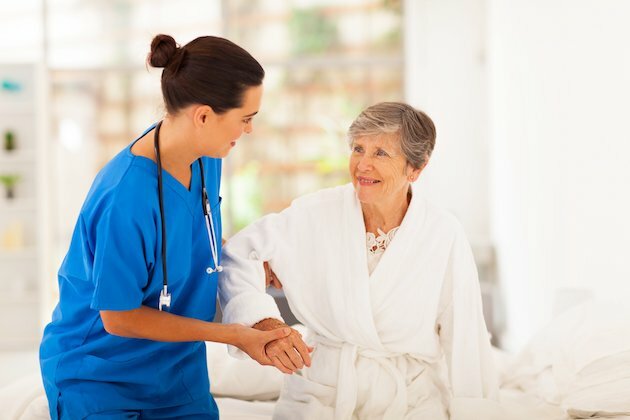 Whether you are recovering from surgery or illness, or living with a chronic disease like diabetes or COPD, Corpore Sano Home Health Care provides in-home skilled nursing and therapy, individualized to meet patients’ needs, as coordinated by your physician. Home health care has been proven to prevent re-hospitalizations and keep patients out of nursing homes and rehab centers where their benefits run out. ​Home health care is the only Medicare benefit that is offered at NO COST to homebound patients who are eligible to receive home health care services. Under the home health Medicare benefit there are NO COPAYS and as long as the patient remains eligible for care, they are allotted UNLIMITED episodes of care. According to CMS, Home health care is a wide range of health care services that can be given in your home for an illness or injury. Home health care is usually less expensive, more convenient, and just as effective as care you get in a hospital or skilled nursing facility (SNF). If you get your Medicare benefits through a Medicare health plan, or a Medicare Managed care plan, check with your plan to find out how it gives your Medicare-covered home health benefits. Managed care plans usually require prior authorization.